Today, successful medical practices are realising the benefits of expanding services to patients. Whether it’s part of an overall quality system or an enhancement to current treatment tools, patients understand and realise when a practice is going the extra mile to enhance the overall outcome of their treatments. At 23MD, the addition of specialised treatment like CryoPen™ does just that, it increases our in-clinic range of services, resulting in more one-stop shop experience for our clients, and ultimately a better outcome. 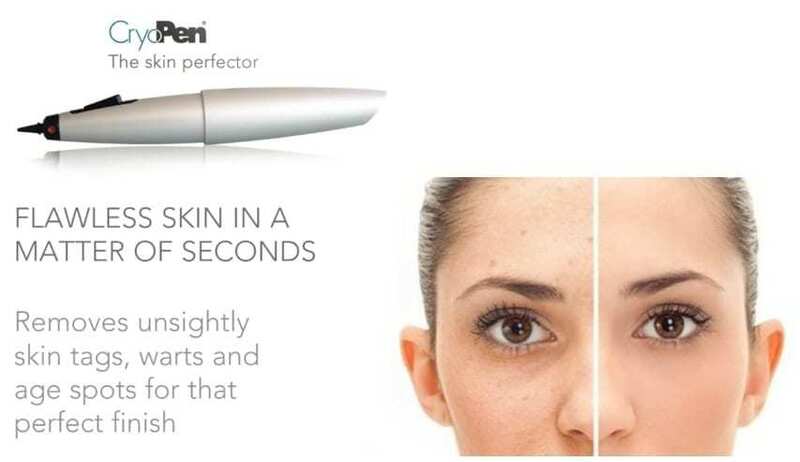 CryoPen™ instruments are a very practical and affordable way to finish off skin rejuvenation by directly applying freezing treatments to small areas of affected skin like milia, skin tags and keratosis. “Let me tell you this: Dr. Kersh is a diamond.” Annabel Rivkin finds a doctor she can trust with the filler. Midult uncovers 5 reasons why you should have your hormones checked after speaking to Dr Galy. Annabel Rivkin – ” 23MD is a Centre of Excellence for Grown up Women”. Tatler UK recommends how to get ready for Your Big Day? Hannah Ebelthite talks to Dr Martin Galy about Endometriosis. Net-a Porter – ‘ The Bottom Line’ -hormones and cellulite with Dr Galy. Disclaimer: The information on this site is intended to facilitate for a proper medical and cosmetic consultation. It does not constitute individual advice or treatment recommendation in and of itself, and does not imply any guarantee of cure. All treatments suggested should be accompanied by an appointment, and should be viewed as supportive and complementary to traditional medicine. Our medical services should be used as complementary and not be looked upon as taking over the role of your GP or other Medical Specialist.